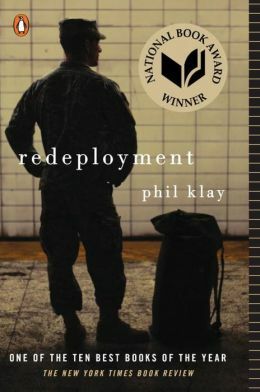 “There’s a reason we keep reading the Iliad,” but we need new stories for new wars, Phil Klay, the author of Redeployment, told several hundred attendees at his reading Saturday at the National Book Festival in Washington. The wars in Afghanistan and Iraq “were fought by such a small percentage of the country and by an all-volunteer force that keeps going back” makes these conflicts unique in American history. Klay is a former Marine officer who served in Iraq’s Anbar Province from January 2007 to February 2008. The reality is less than 1 percent of the American population served in the nation’s two longest wars. 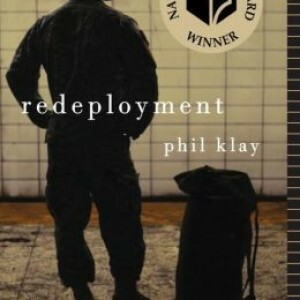 The winner of the National Book Award in 2014 for his collection of short stories many people he met upon his return from duty as a public affairs officer “assume I was psychologically damaged” by his time in Iraq. Later he added, American civilians “have an image of a vet as a hero” or they “have an image of a vet as a victim” because they have such little exposure to the armed forces. He said these two divergent views were especially true in the Northeast where he grew up, then attended Dartmouth and still lives. There very few have any experience with the military or are even exposed to it because there are so few installation near their homes of jobs. Klay received his commission through officer candidate’s school at Quantico, Va. and was commissioned a second lieutenant when he graduated in 2005. Before entering Hunter College to begin a master of fine arts program in creative writing, he took a couple of months off when he returned from Iraq to “think things true.” Adding, “America looks very different” from the perspective of someone coming back from a war zone; and in his writing he wanted to communicate that. Several times in the question period, Klay was asked about the story “Prayer in the Furnace,” told from a Catholic chaplain’s point of view. “The stakes … are so incredibly high” in a chaplain’s mission because “of the question about suffering” and its meaning. Having attended a Jesuit High School, he said his writing has been influenced by George Bernanos’ Diary of a Country Priest, Flannery O’Connor’s stories often with moral and religious themes, among others. Chaplains work diligently to achieve a “really meaningful connection” with the men and women with whom they serve, but it is a hard row to hoe. Bernanos’ novel details how a young priest learns humility in ministering to his parish. “It would be impossible know what you’re signing up for” when a young man or woman takes the oath, he said in answering an audience question. Klay said he and others who served were then “certainly much more naive about war” than they are now. But the reasons for joining can run the gamut from wanting to serve, a sense of adventure, being part of something larger than yourself, Defense Department surveys have found for years. No matter how a person views these wars, Klay said, “People were trying to do a mission” and trying “to make things better” where they were. Their experiences were uniquely their own he said in explaining how Afghanistan differed from Iraq and even what time a service members was in a particular area affected how they experienced their war even if they were ordered back to the same place.